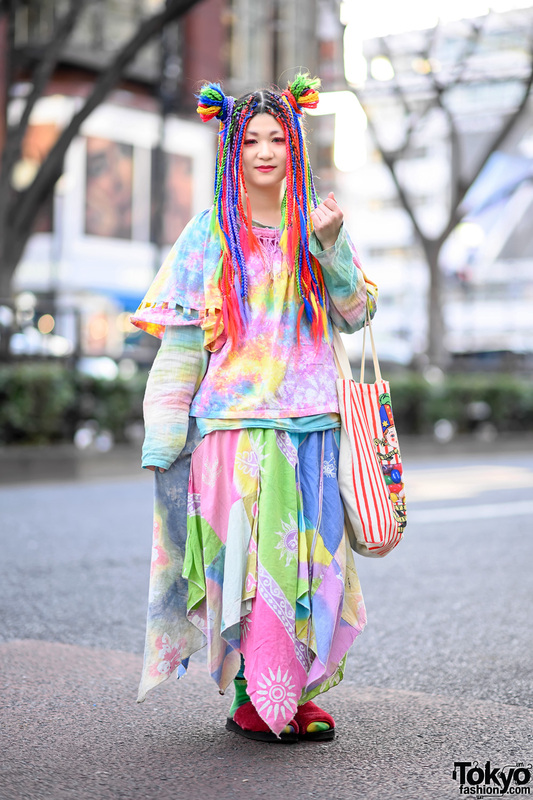 This is Mayu, a 20-year-old beauty school student. She’s wearing a simple but stylish outfit that includes a gold t-shirt from Zara and blue cuffed pants from H&M. Her black suede platform shoes are from Top Shop (which she told us is her favorite place to shop). 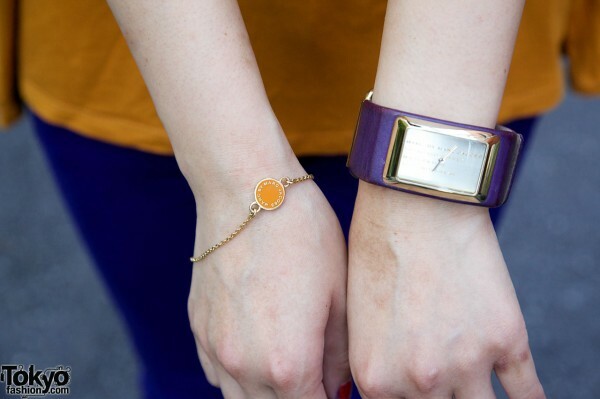 Accessories include a gold medallion necklace and a chain bracelet and blue watch bracelet from Marc by Marc Jacobs. It’s simple but I like it. I think it goes together really well and I love her shoes!